During the conference, three works selected out of all the oral and poster presentations by scientists under 40 years, have been awarded. 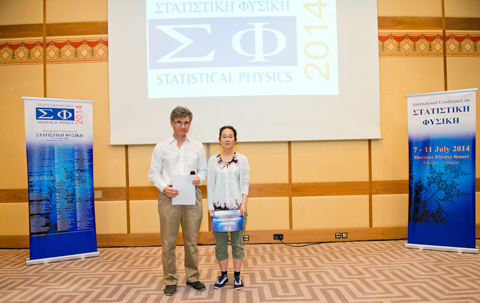 - Best Work on FOUNDATIONS OF STATISTICAL PHYSICS (offered by the POLITECNICO di TORINO). - Best Work on COMPLEXITY (offered by CHAOS, SOLITONS and FRACTALS Journal). 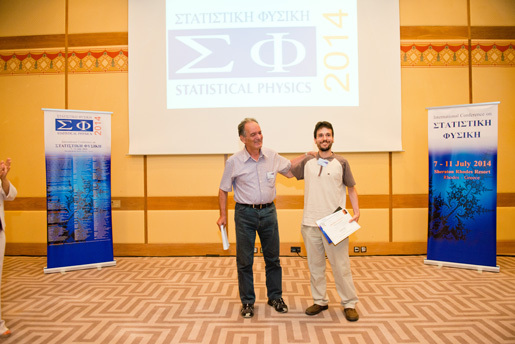 - Best POSTER PRESENTATION (offered by the Greek National Center for Scientific Research DEMOKRITOS). The three awarded scientists have been granted 500 Euro each. Additionally, the registration fee will be waived to the three winners for participating in the next edition of the SigmaPhi Conference, SigmaPhi2017. 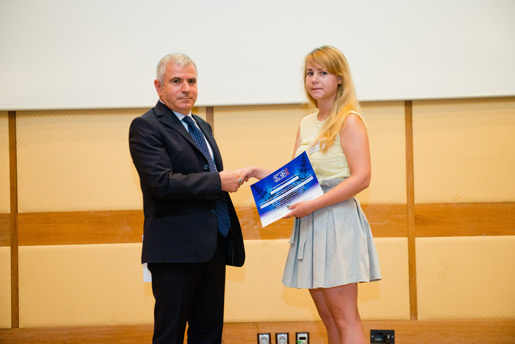 The announcement of the winners and awarding ceremony took place on Friday July 11th.